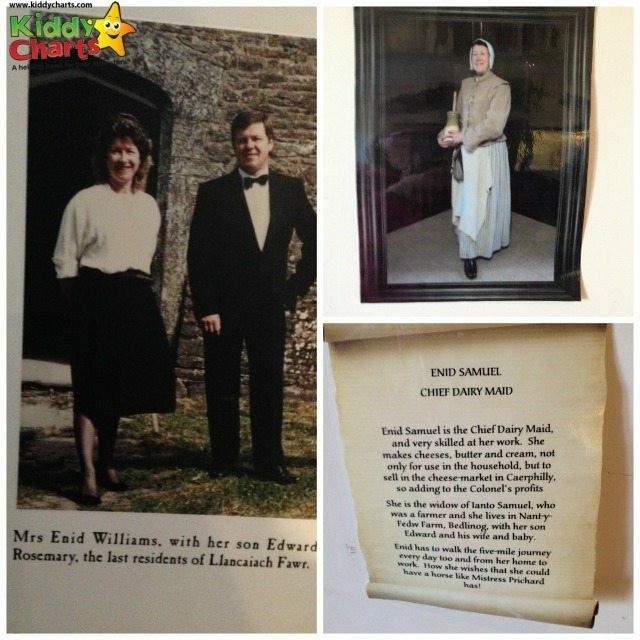 If you are looking for a fun, educational day out in Wales, then look no further than Llancaiach Fawr Manor House, just outside Caerphilly. Forget your usual dower visits to a Manor House where you walk through the building and aren’t allowed to get involved as there are ropes between you and the displays in the building….Llancaiach Fawr is all about taking you and your children back in time, and learning from the servants within the house just how a family in 1645 would have lived. 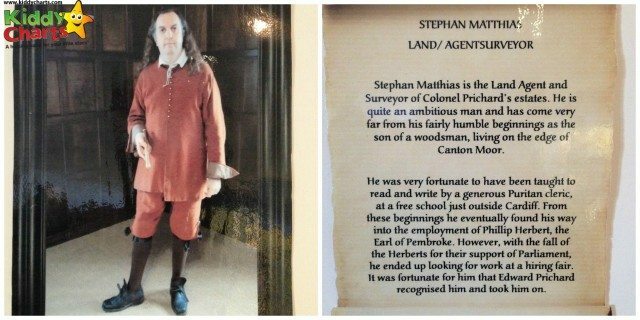 You are greeted by Stephan Matthias, who has been told by the Colonel to keep his house safe and only let those of noble birth enter. 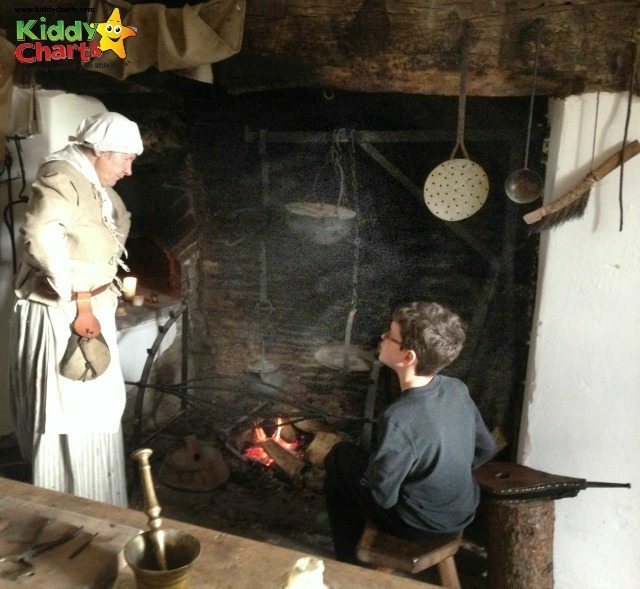 Upon examining your letter, Stephan takes you into the kitchen and servants’ quarter where Enid Samuel explains to you how the kitchen would have been managed in the 17th century. Rather marvellously, the lady playing the part of Enid, who is the Chief Dairy Maid in the house, was one of the last residents of the manor before it was sold in 1953; Rosemary Williams. Even the kitchen gives the kids a chance to get hands on, and learn how the Spit Boy in the house, who was only nine, had to turn the meat for 11 hours before it was cooked and ready to be served to the gentry. Stuntboy wasn’t keen on doing it for that long…. Our children were even able to make herb bags to keep away the plague, or to help ward off germs which were believed to be carried on the wind by bad smells in 1645. After the kitchen, Matthias took us into the Great Hall, where Colonel Pritchard, when in residence, would have held court to deal with matters of business. This room was also used once a month as a court room; where Pritchard would hand out sentences in public for those accused of petty crimes. This would include condemning people to time in the stocks when villagers would throw rotten fruit as punishment! To help with the lighting in The Great Hall, the kids made candles out of beeswax – a simple task, but a tad fiddly. After spending time in the servants quarters, kitchen and armoury, we were given a tour of the upper rooms in the house where the gentry lived. It was in the children’s bedroom and the master of the house’s room where the tour really captured the kids imagination as they were able to take part in some of the games the two children in the house would have played; Mary and Jane. Mary and Jane were tutored by Evan James, the music master. 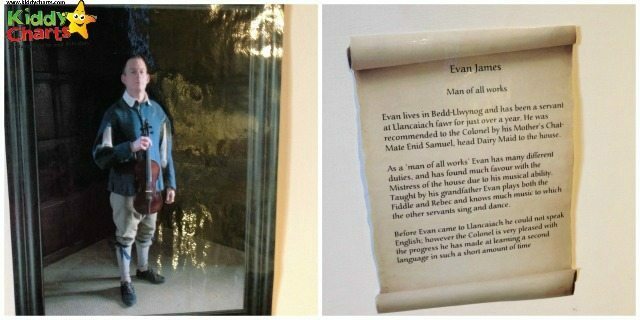 He showed our children how to play with the toys the girls would have had, and have a go with the musical instruments that the children would have been taught to play in Llancaiach Fawr. Our time spent in Llancaiach Fawr was brilliant, with the servants always in character. The kids learn so much from their time here, from idea that, because women had smaller brains, they were thought less intelligent than man, to the fact that kids under the age of 12 were not of a responsible enough age so weren’t permitted to sit on the furniture. They even had to stand at the table to eat their food. The whole experience will stay with my two kids for a while, and I can’t recommend it enough. Gone are the days when visits to this type of house are just a walk around a few decorated rooms. Llancaiach Fawr really helps to bring the experience to life, so that the children have both learnt and had fun. Just for your information, the cost for entry is £22 for a family of four (two adults and two children) to Llancaiach Fawr. 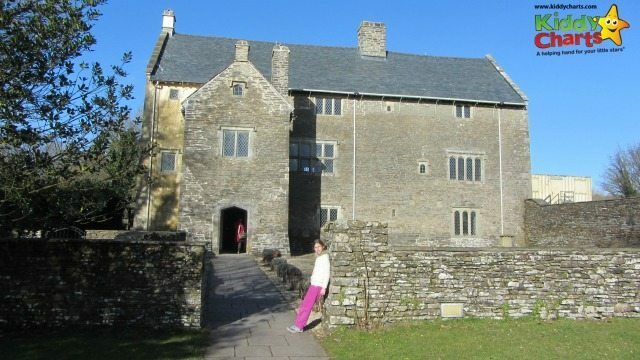 Thanks to Visit Wales, we have a wonderful visit of our time at Llancaiach Fawr – check it out here! 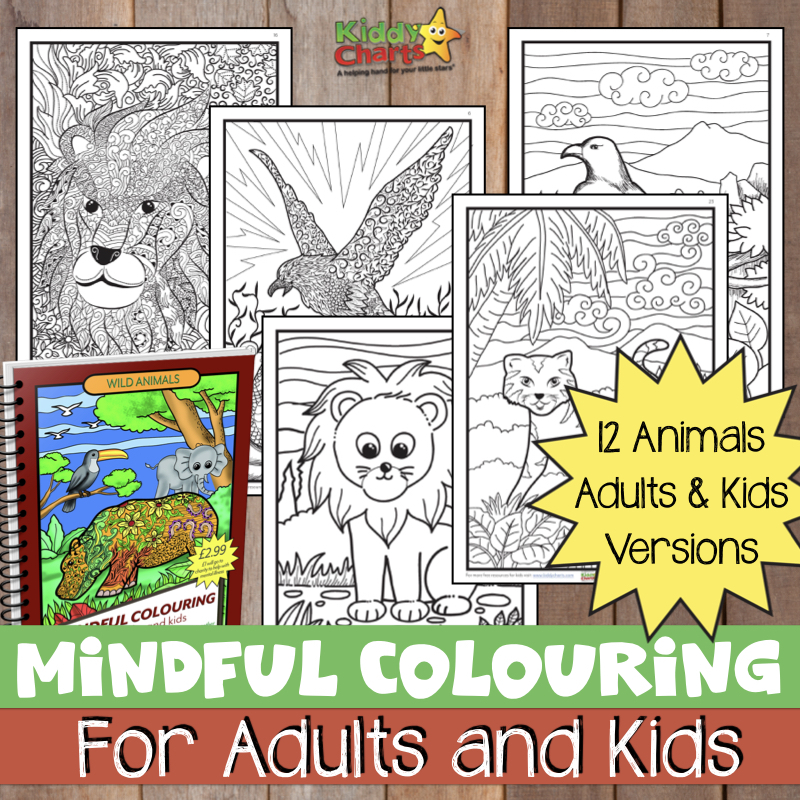 We have been compensated for this post, but all opinions are our own – you can’t tell 7 and 9 year old’s what to say or think after all, can you? I love days like this, such fun, interesting and educational too, and that’s just the adults!